Well, it looks as though GameStop is trying to make things right with their customers. After removing OnLive redemption codes from copies of the PC version of Deus Ex: Human Revolution earlier this week, many gamers were very critical of the retailer. “GameStop should face legal trouble,” said many very angry gamers. Legal trouble? Probably not. GameStop is now offering all customers who have purchased a copy of Deus Ex: Human Revolution, and had their OnLive redemption codes removed prior to taking it home, a $50 gift card. 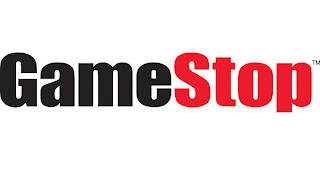 The $50 gift card will be valid at GameStop locations. On top of this, the retail store is also giving these customers a “buy one, get one free” coupon that may be used toward previously owned games. Earlier this week, GameStop removed a competitor’s coupon from the standard edition PC versions of Deus Ex: Human Revolution, a recent release by Square Enix. We were not aware that the product box would contain this competitor’s offer. We regret the events surrounding this title release and that our customers were put in the middle of this issue between GameStop and Square Enix, the publisher of this game. And for this, we are truly sorry. All-in-all, everyone appears to come out winners in this event. GameStop gets to keep their customers happy. Square Enix still can sell their games in the retail store. OnLive got more press coverage than they ever could have hoped for, and gamers basically get their games for free.